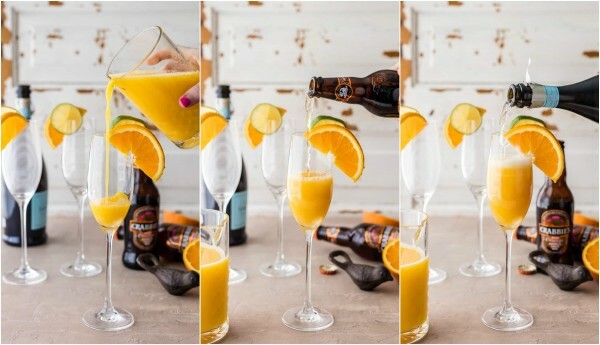 The Cookie Rookie's Moscow Mule Mimosas make for the BEST BRUNCH EVER! Brunch—my favorite meal of the day! There’s just something inherently happy about brunch. 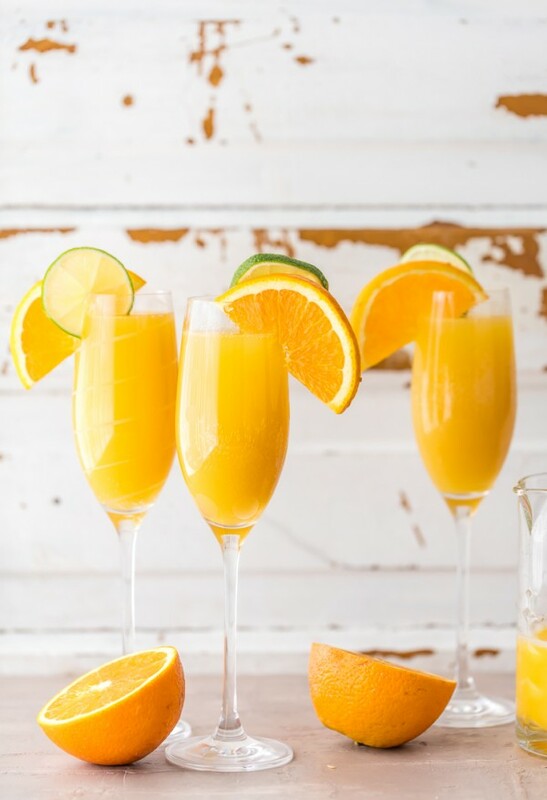 You don’t have to wake up too early to enjoy it, sometimes it comes with an all you can eat factor, and champagne is totally socially acceptable. My kind of meal! Of course every self respecting brunch needs a good mimosa. Bottomless if I have my say. 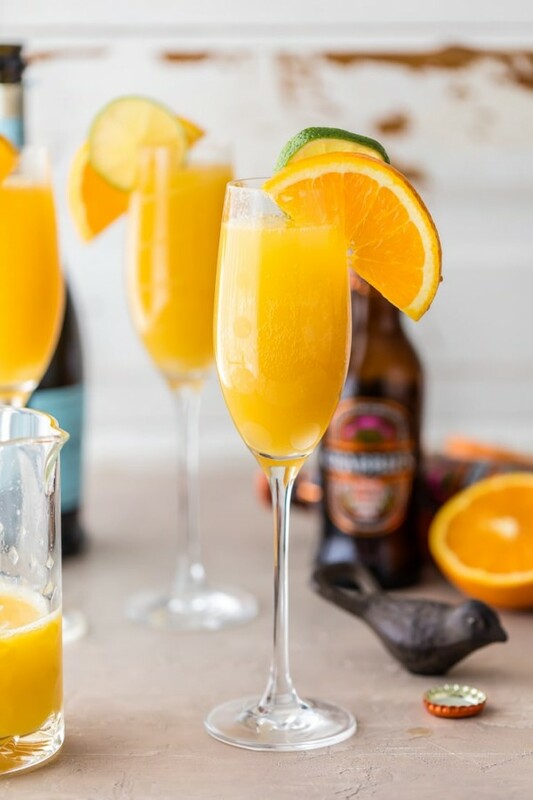 These Moscow Mule Mimosas are my favorite brunch drink of choice at the moment; unique, delicious, EASY, and fun. Bring on the bubbly! The secret ingredient that makes these Moscow Mule Mimosas EXTRA good is my favvvvvve Crabbie’s Alcoholic Ginger Beer. YOU GUYS… I am OBSESSED with this stuff. (You might remember my Garlic Ginger Pulled Pork from earlier in the year!) Crabbie’s originated in Leith, Edinburgh, and Scotland, and has made it’s way to the states and I couldn’t be more excited. Obviously, I love to drink it. It’s the perfect combination of crisp and refreshing; made from a secret recipe of four special ingredients! I love that it’s not too sweet—making it the absolute best mixer for cocktails or cooking! You can find more recipe ideas and of course where to buy near you HERE. The other thing that’s great is that it comes in FLAVORS! 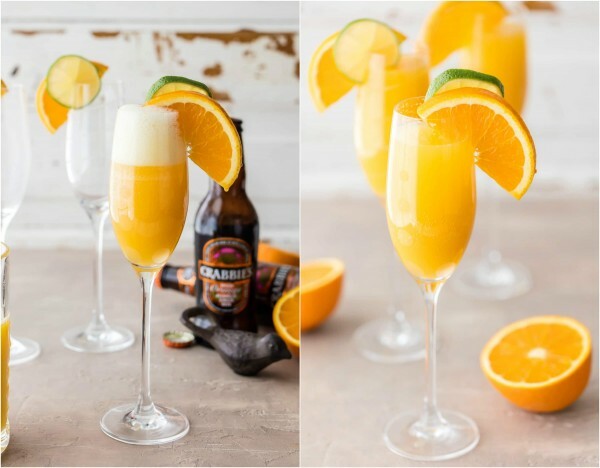 I used the Spiced Orange flavor for these Moscow Mule Mimosas and OMG! You could use the classic or the Raspberry, all would be delish! Pour orange juice 1/3 of the way up a champagne glass. Top with another 1/3 of the Crabbies Ginger Beer. Garnish with limes and orange slices. 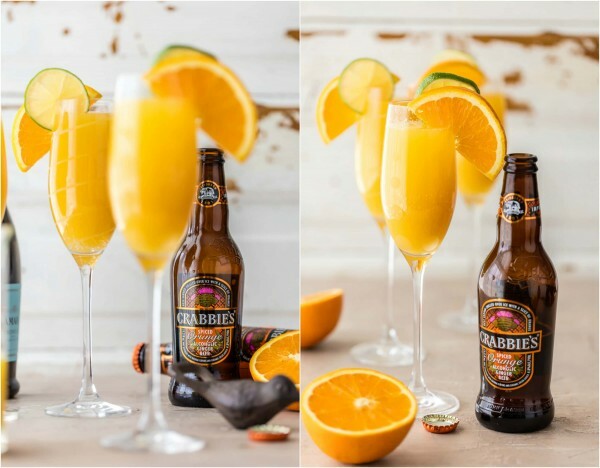 This post Moscow Mule Mimosas appeared first on The Cookie Rookie.